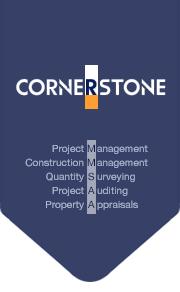 Project Management - Cornerstone Management Co.,Ltd. Effective project management is the key to project success. The depth and level of professional resources upon which we are able to draw provides our clients with a customer-focused, comprehensive and efficient service. We provide a total service for building, civil engineering, environmental engineering, process and other construction projects. This requires co-ordinating effectively all parties to ensure the project achieves the aims and objectives of our clients. Experience recognizes the interplay of five key factors is integral to successful project management. The following concise brief provides a firm foundation for continuous reassessment of those factors in the delivery of successful projects. Time: project economics are inextricably time-related. Funding, business requirements, market timing, planning and design often dominate the actual construction contract, so all factors must be carefully weighed and balanced. Quality: establishing and attaining defined quality goals is a key measure of project management success. Flexibility: the need for flexibility throughout a project is essential to its successful conclusion, and must be identified, analysed and used to the advantage of the project. Cost: real cost arises from all of these factors, an appreciation and acceptance of this is key to satisfying client expectations. Risk: identify, quantify and mitigate at monthly intervals. The Project Manager will pre-qualify all contractors to ensure their suitability before bidding. The Project Manager will establish the organization of and lines of authority and communication of all concerned in all aspects of the Project and will submit details of these to the Client for approval. The Project Manager shall brief, co-ordinate and collaborate with the Client and with the contractors to establish a masterplan acceptable to the Client for the full development of the Project.The Project Manager will prepare a report giving the estimated costs, time schedule and detail quality standards for the Project. The Project Manager shall make recommendations to the Client of how the design stage should procced. The Project Manager will investigate designs, and method of construction in order to effect the most efficient schemes as regards time and cost of construction, This will be summarized in a presentation to the Client of costs comparisons for various alternative methods of construction. The Project Manager will participate in the preparation and development of all necessary drawings, designs and specifications, ensuring that the limits of cost, time and quality are maintained in accordance with the approved Project programme and budget. The Project Manager will advise the Client on the division of the works for the purposes of tendering, on the selection of tenderers and the award of Contracts. The Project Manager will obtain quotation for specialized equipment and materials and machinery required for the Project. The Project Manager will make recommendations as to the award of purchase orders following submission of quotations. The Project Manager will periodically submit reports covering all aspects of the design stage comparing actual status with the approved programme. The Project Manager will call tenders and issue tender documents. Before the Project Manager will evaluate tenders, prepare tender reports, negotiate with tenderers and make recommendations for the award of tenders, the Project Manager will submit the criteria of evaluation on the selection of tenderers to the Client and also seek consent from the Client. The Project Manager will arrange the execution of contract agreements between the Client and the contractors. The Project Manager will prepare a detailed cashflow forecast for the Client. The Project Manager will provide management, supervisory and related services for the construction phases including co-ordination of the supervision and general direction of the work, the progress of the contractors, sub-contractors, suppliers, etc. The Project Manager shall establish with the contractors at the Project site a friendly and co-operative working relationship to ensure efficient communication and progress of the Project. The Project Manager shall establish with the contractors a realistic and detailed schedule of works for monitoring progress on site. The Project Manager will hold regular progress meetings taking, transcribing and distributing to all concerned minutes of all such meetings. The Project Manager will prepare monthly valuations for progress payments to the various contractors in respect of work carried out. The Project Manager will measure, compute, verify and evaluate variation submissions from the contractors. The Project Manager will submit monthly reports covering all aspects of the construction stage comparing actual status with the programme. The Project Manager will submit monthly financial reports comparing the estimated total final costs with the approved Project budget and the projected cashflow with actual expenditure. The Project Manager will ensure that accurate written and graphic records of all aspects of the Project are maintained (as-built drawings, commissioning and test reports, etc.). The Project Manager shall provide professional services as supervisors in connection with the construction of the Project to be carried out by the Client. The Project Manager shall review all documents, including but not limited to contracts, agreement, specifications, plans, and drawings for the architectural, structural and mechanical and electricalengineering (M&E) works to identify together with the contractor areas where such documents need further clarifications, so that all the necessary and clear information is available to the contractors at the proper time so that delays can be avoided. The Project Manager shall, together with the contractors, co-ordinate all drawings, specifications and other documents to eliminate conflicts between the M&E drawings and the architecture and structure of the Project. The Project Manager shall ensure that the contractors’ co-ordinated drawings for the M&E services properly fit within the buildings and facilities, allowing space for proper installation and maintenance and to ensure the service runs do not obstruct one another. The Project Manager shall agree sequences, techniques, methods and systems of work for all aspects of the Projects, subject to Client’s prior written approval. The Project Manager shall establish suitable locations for materials stores, offices, and other support facilities for construction of the Project. The Project Manager shall check and verify all specifications, resolve anomalies and ensure materials and workmanship comply with the drawings and specifications by close co-ordination with the contractors at an early stage to eliminate the need for rejection and subsequent delays at a later date. The Project Manager shall establish monthly, weekly and daily targets with the contractors to ensure efficient progress and monitor targets through daily meetings. The Project Manager shall correct immediately and delays or shortfalls by mutual agreement with the contractors. The Project Manager shall arrange formal monthly progress meetings with the contractors and the Client to review progress against schedule, review problems, materials supplies, and other matters, and to identify solutions and agree remedial actions with the contractors and the Client. The Project Manager shall inform and advise the Client regularly and in detail on all aspects of the Project works. The Project Manager shall carry out handover inspections, commission tests, prepare defect lists and ensure the prompt and complete repair of all defects and deficiencies in the Project works. The Project Manager will arrange for all tests, inspections and acceptance of the works both on practical and final completion to the satisfaction of the Client. The Project Manager will ensure that all final accounts are settled expeditiously presenting to the Client the overall final statement of cost within 12 months of the practical completion of the Project. The Project Manager will provide the Client with a complete set of as-built drawings together with detailed written records of the construction. Taking Control We pride ourselves on the professional approach we adopt to project management. Our track record for quality has been established by providing proven performance levels time and time again across a variety of project types. Our portfolio includes the sensitive restoration of buildings, major manufacturing and distribution centres, hotels, offices, condominiums, housing and island villas. We carefully monitor and analyse the needs of the construction industry and our clients, developing and reviewing our methods, systems and approach to augment our management skills. Control is only achieved when clear understanding has been achieved. Value Engineering and Risk Analysis, combined with our computerized planning and programming capability, help us identify critical areas in any project, and take necessary actions. Our commitment is achieved through a flexible approach, blending skills and resources, allowing us to bring projects to completion by adhering to the five principal factors of: time, quality, flexibility, cost and risk management.